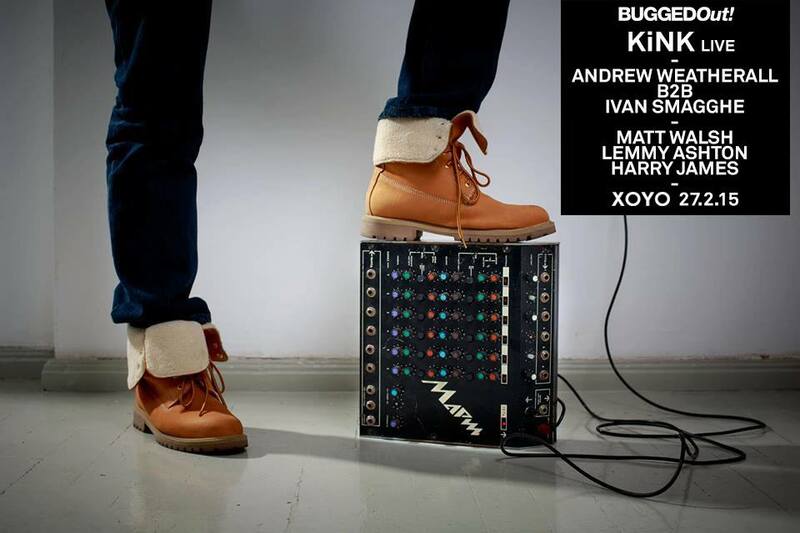 KiNK – live will be heading up the Bugged Out XOYO residency on Feb 27th. With many bangers in his arsenal and a very hands on approach you’ll see why he’s so feted. Two trusted gents of the house/techno interface join the bill – Andrew Weatherall will be going b2b with Ivan Smagghe on the night. The ever excellent Clouded Vision boss Matt Walsh along with Lemmy Ashton and Harry James complete a truly superb line up yet again from the BUGGEDout! team.